Reflexology has its roots in ancient health philosophies where the whole of the body and its organs are reflected in the feet, with the right foot representing the right side of the body and the left foot the left side. Reflexology is carried out by applying finger/thumb movements on specific reflex points on the feet (or sometimes on the hands) releasing blockages and congestion in the body. As our feet are farthest from the heart, tiny “crystals” can accumulate in them which feel like crunchy “bumps”, one of the things that reflexologists seek out to work on. When reflexes are stimulated, circulation is improved and “crystals” are reduced and then removed by the body’s natural means. The aim is to promote a feeling wellness that puts a spring in your step. Surprisingly to some, their feet feel nicely different after a session! This treatment benefits people of all ages and depending on the length of time of an existing condition, relief can be achieved and potentially even eliminated during a course of four to six treatments. This is a rejuvenating therapy and many find it beneficial as a regular treatment in order to help them feel relaxed and well – I refer to it being like a car MOT! As a qualified aromatherapist, I love to use essential oils in my reflexology sessions. The treatment itself will always bring a sense of calm and relaxation but I like to add just that bit extra – aroma sense! The oils, as they’re adaptogens means they know what the body needs and will support the body in the way that’s needed. They also effect the emotions and in a subtle way help us to feel uplifted, content or happier. Along with my Reiki healing too, you’ll feel you’re in good hands! 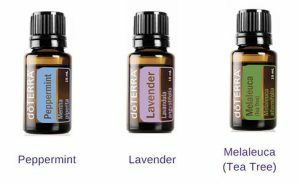 I have many essential oils to choose from but these three lovelies are the top oils for the feet. You will notice these are often found in foot creams, balms and lotions.